Party at Our DUMBO Fun Loft! 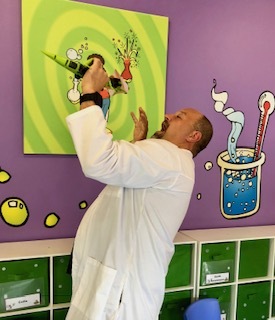 We are so pleased to announce the arrival of the Mad Science DUMBO “Fun Loft”, a perfect place for any budding young scientist to celebrate a birthday with 16-24 of your closest friends. With cool décor, incredible experiments and amazing scientists to guide you through your experience, our time together is sure to be a blast! Our lab is easily accessible via the F, A and C trains. Nestled in the heart of Brooklyn's coolest neighborhood, you and your guests will be greeted by one of your Mad Scientists to be taken up to the 4th floor “Fun Loft”. We will guide you into the world of Mad Science. Make sure you stay close to your Mad Science guide, we wouldn’t want to lose you down any of our trap doors! 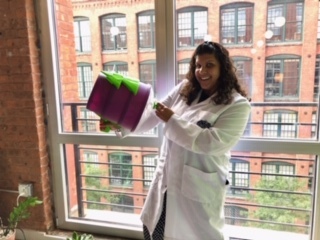 Click below to see one of our amazing scientists demonstrating from the lab at the fun loft. A Helix Flyer you can launch 40 feet! Ready to Book the Greatest Science Birthday Show on the planet? Click here for a one sheet about our Fun Lab Parties or call us today at 888-MADD-SCI!